Pure corundum (aluminum oxide) is entirely colorless. The various sapphire colors result from the presence of different chemical impurities or trace elements. Blue sapphire is typically colored by traces of iron and titanium. 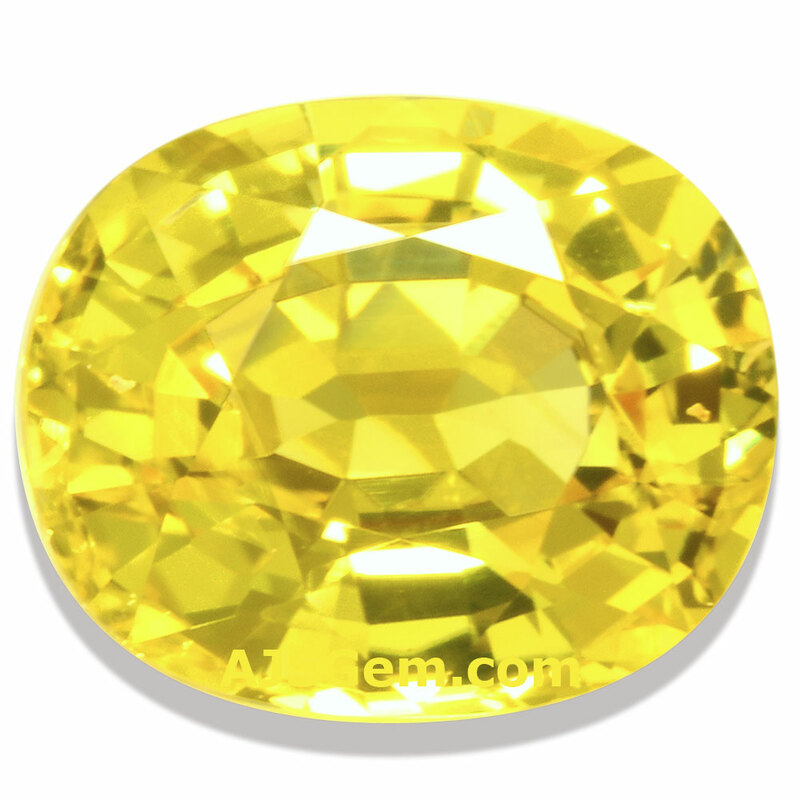 The combination of iron and chromium produces yellow or orange sapphire, while chromium alone produces pink or red (ruby), and iron alone produces a weak yellow or green. 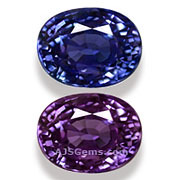 Violet or purple sapphire is colored by vanadium. 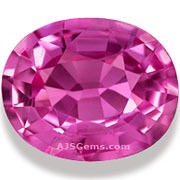 If blue is the most popular color for sapphire, it is fair to say that pink is the second most popular color. There are two reasons for this. 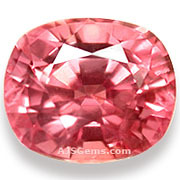 First, pink gems in general are very popular, including pink diamonds, pink spinel and pink tourmaline. Since pink diamonds are extraordinarily expensive, pink sapphires have become the next choice in fine pink gems. Second, pink sapphire is nearly as rare as ruby, the red color of conundrum. Like ruby, pink sapphire is found mainly in small sizes, and almost all pink sapphires have some inclusions. Unlike pink sapphire, yellow sapphires can be found in larger sizes, and we usually have some top grade yellow sapphires in the 5+ carat size in our collection. Yellow sapphire is notable because it has a special place in Vedic astrology, where it is associated with the largest planet, Jupiter. Jupiter is believed to be an especially auspicious planet and is connected with wisdom, good fortune, power and wealth. 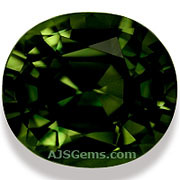 Green sapphire tends to be slightly less expensive than the other fancy sapphire colors. Pure greens are rare, and most green sapphires have blue and yellow zoning. 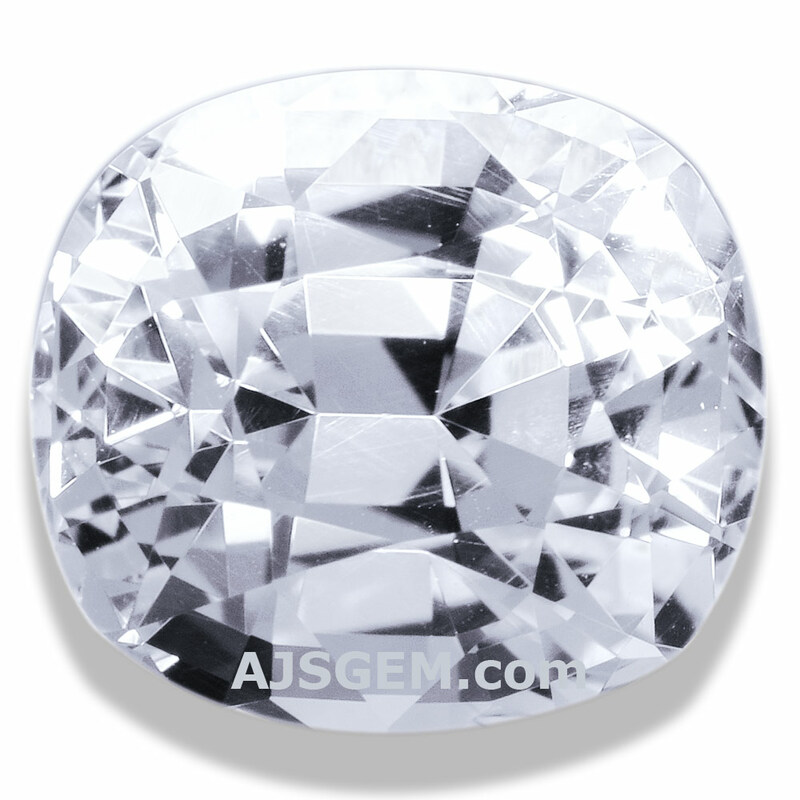 A pure green sapphire in a large size is quite rare and valuable. 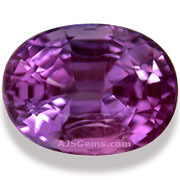 Violet sapphire is often classed with pink sapphire. 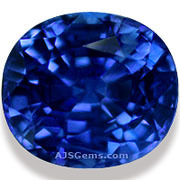 Sapphire color is sometimes improved through heating. Heating some blue sapphires, for example, will dissolve rutile inclusions (titanium dioxide) and this has the effect of both improving the clarity and the color, since the titanium is absorbed into the crystal lattice and deepens the blue color. Some yellow and orange sapphires are heated with beryllium to produce a more vivid color. Reputable gem dealers disclose all gem treatments, and test reports from gemological laboratories will also note any treatment.There are two unusual sapphire colors that deserve special mention. A combination of pink and orange hues in a single stone is called padparadscha and it is particularly rare and valuable. This color is historically associated with Sri Lanka, but padparadscha sapphires have been found in Madagascar and Tanzania as well. Another rare type of sapphire changes color under different lighting, usually from blue to violet.